Russian Foreign Ministry said that Moscow hopes that the next intra-Syrian reconciliation talks will be held on February 25 in Geneva. 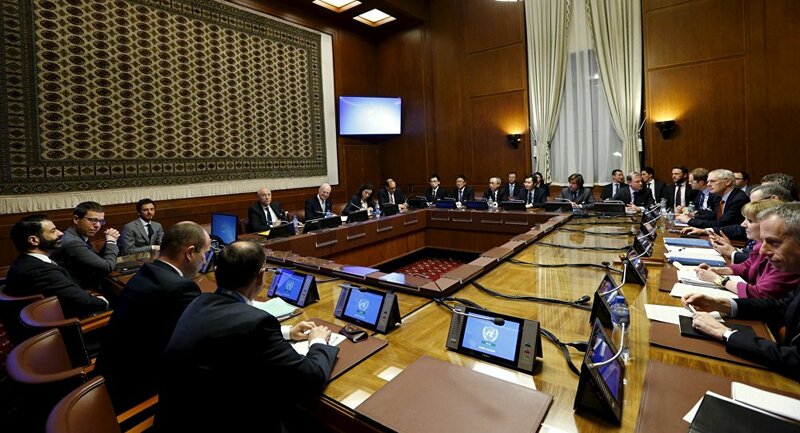 MOSCOW (Sputnik) – Moscow hopes that the next intra-Syrian reconciliation talks will be held on February 25 in Geneva and will include participation from the Kurds, a source in the Russian Foreign Ministry said Saturday. “We have said that the meeting needs to be held as soon as possible and are in favor of the Kurds taking part in it,” the diplomatic source told RIA Novosti. The Syrian Kurdish Democratic Union Party (PYD) has not received invitation to the talks from the United Nations. Syrian Kurds have been fighting against the Daesh militant group, which is outlawed in many countries, including Russia, for years. The PYD claims that its participation in the intra-Syrian talks was blocked by Ankara because of its assumed links to the pro-independence Kurdistan Workers' Party (PKK) militant movement, which is active in southeastern Turkey.